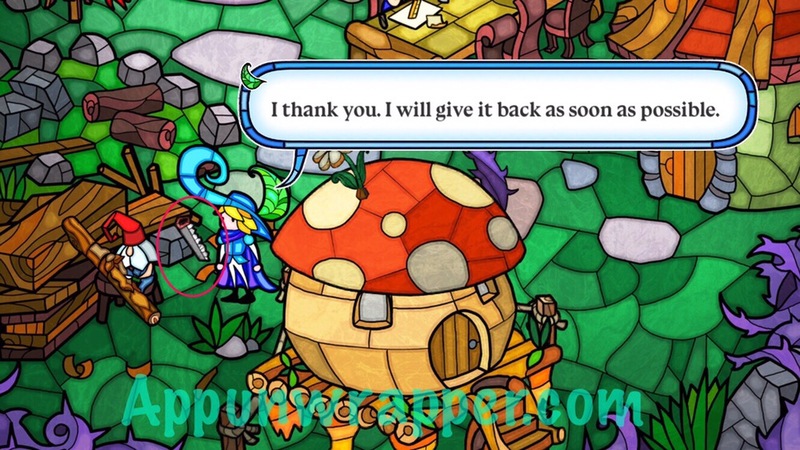 This is a complete step-by-step walkthrough with hints, tips, answers and solutions for the iOS, Android, PC and Mac point-and-click adventure game Little Briar Rose by Mangatar. Feel free to ask for extra help in the comments section. 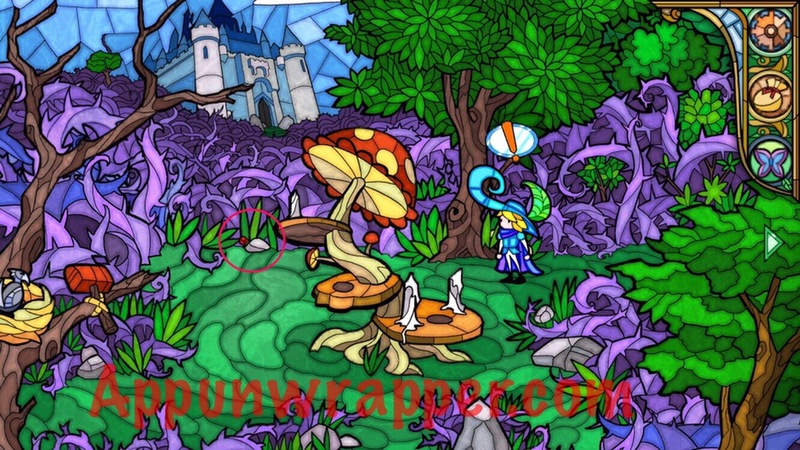 See my Little Briar Rose review here. 1. After talking to the fairy, head right and then down to the gnome village. Talk to all the gnomes, and then go back and forth between the painter and architect until the architect agrees to let you build the library. Look at the plans on the table and talk to each of the gnomes to find out what they want it to look like. 2. Once you know what they all want, look at the plans and figure out how to make it. 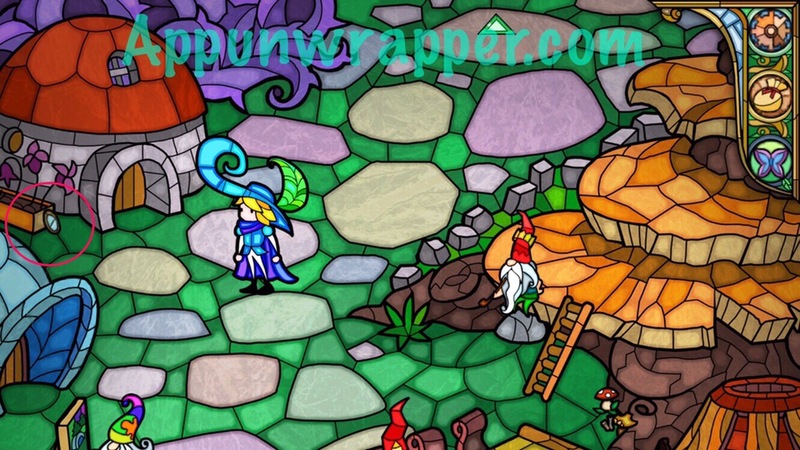 Although it doesn’t show up in the notes, the gnome at the top also asks you to make it look like Spring, which means the flower on top of the roof. When you’ve selected all the right pieces, press the check mark and tell them you’re ready. 3. The gnomes will give you a Gnome Wish as thanks. 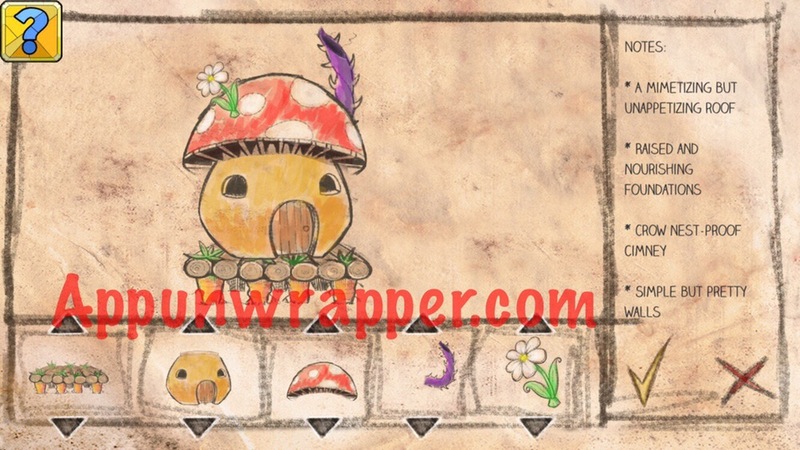 Use it with the giant mushroom and then solve the first labyrinth puzzle to open a new path through the brambles. 4. Before going right, pick up the rose that you couldn’t take before. 5. Go right. 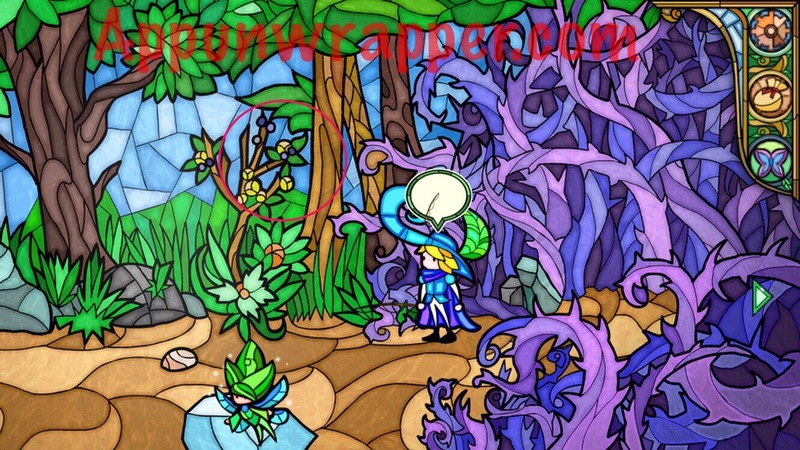 Pick up the Shell and the Glowing Flower. 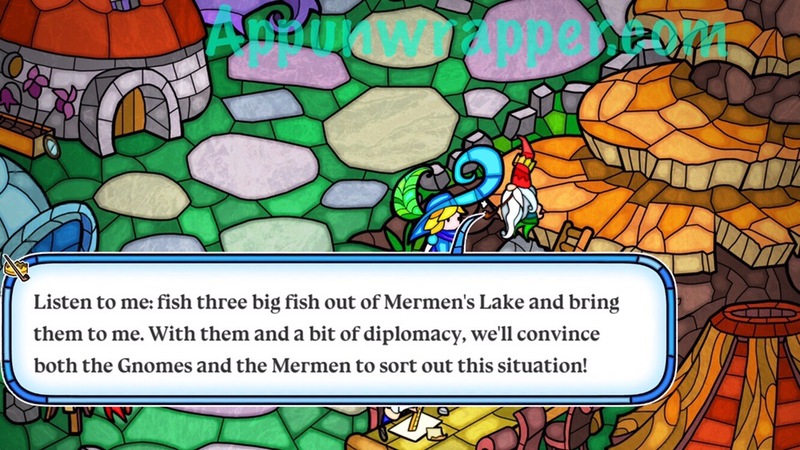 Then talk to the Merman king to find out that they need someone to build them a dam. 6. Go back to the gnomes and ask the Village Chief to build a dam. He agrees and tells you to ask the Architect. 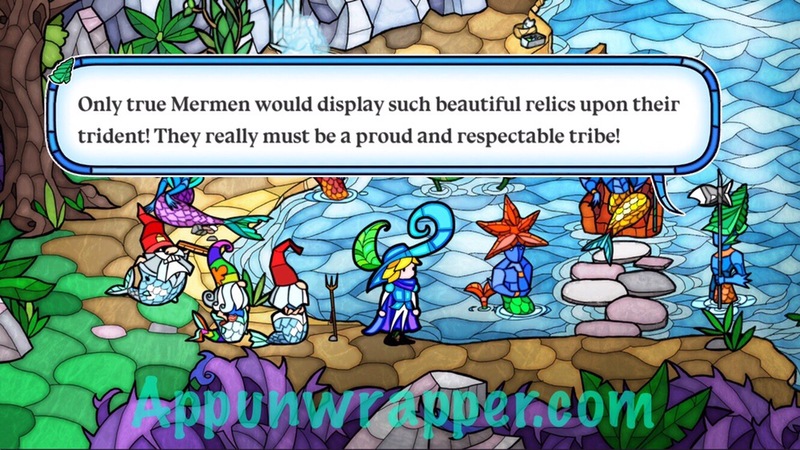 He agrees, but says that the Mermen would never let them. Talk to the Mermen and they’ll confirm — they won’t let the gnomes build their dam. 7. 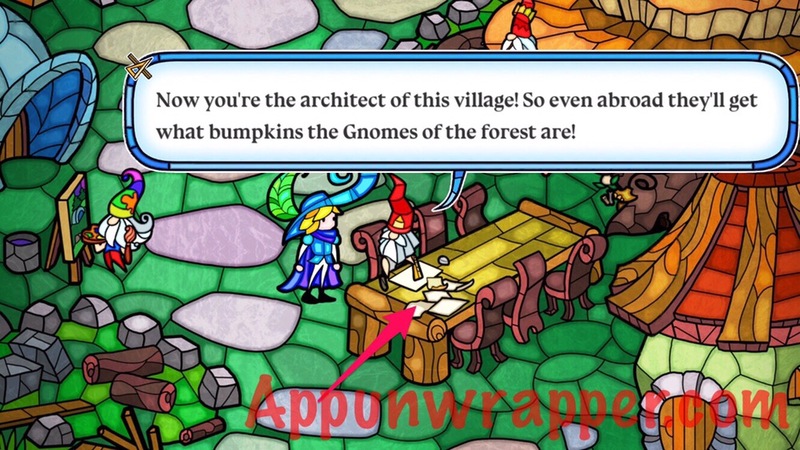 Go back to the gnomes and talk to the Village Chief. He says he has another plan and needs you to catch three big fish. Ask the Carpenter to make you a fishing rod. Also, ask to borrow his saw. 8. Go back to the Mermen. There’s a spot that’s good for fishing. Use your rod on that spot and catch three fish. It’s not easy and can be a bit tedious. There are also some other items you can and should fish out of the water: a claw, an old shoe, and a shark tooth. Once you have everything, no more fish will bite. 9. After you get the claw, talk to the mermaid to the left. She has some gems that she’s willing to trade for the claw/pincers. Give it to her to get the gems. 10. Once you have all three big fish, take them back to the Village Chief. He wants you to bring him two more items now. One is a symbol of strength and the other is a symbol of wealth (that proves the beauty of their waters). If you get them wrong, you’ll fail and be replaced by another prince. So be careful. 11. Pick up the mirror from the Gnome village. 12. Head over to the three-pronged branch up north and use the saw to cut it down. Then the carpenter will turn it into a trident for you. 13. 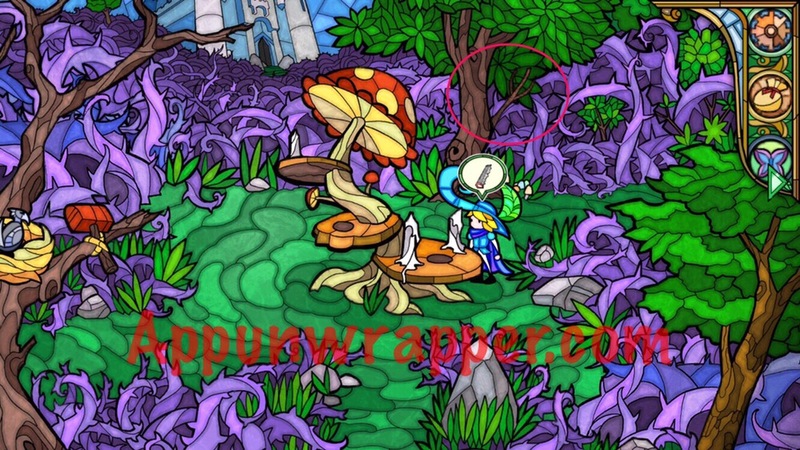 Go all the way back to the fairy and use the fishing rod to get some ink berries from the tree. 14. The two items the Village Chief asked for are actually for decorating the trident. So you need to give him the trident plus two other items. 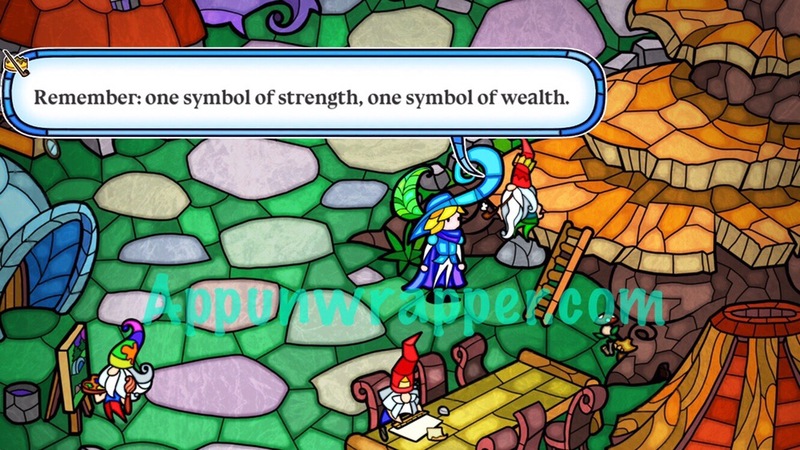 The symbol that represents wealth is the gems. The one that represents strength is the shark tooth. 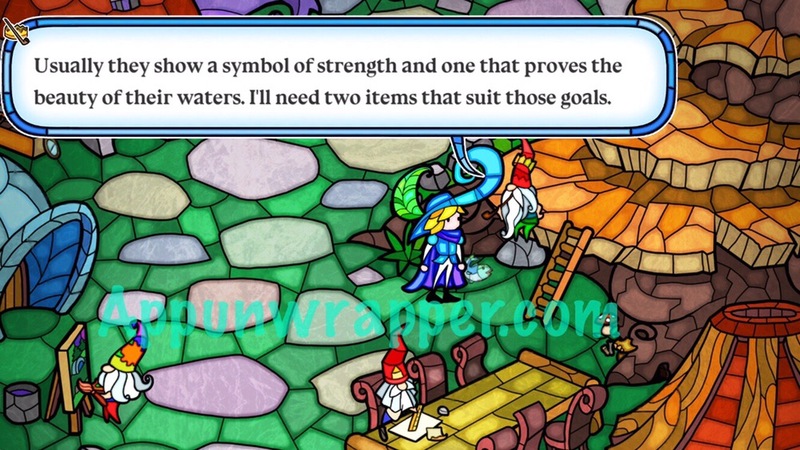 Give the trident, gems, and shark tooth to the Village Chief and then talk to the painter, carpenter and architect to tell them to wear the fish. 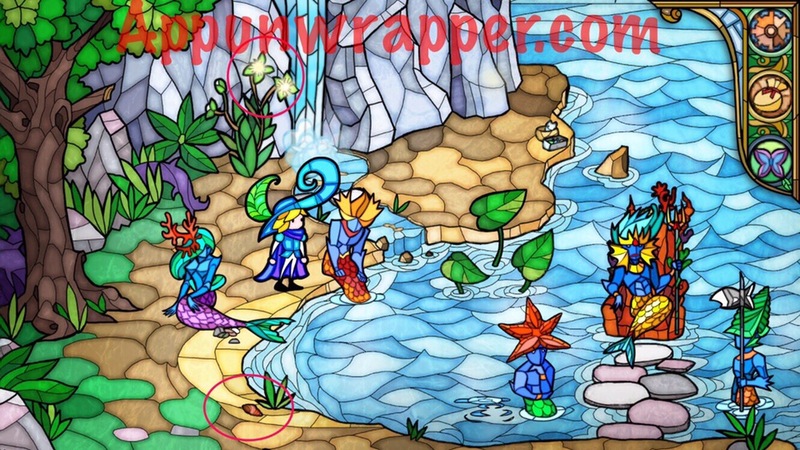 Time to visit the Mermen with the gnomes dressed as merfolk! 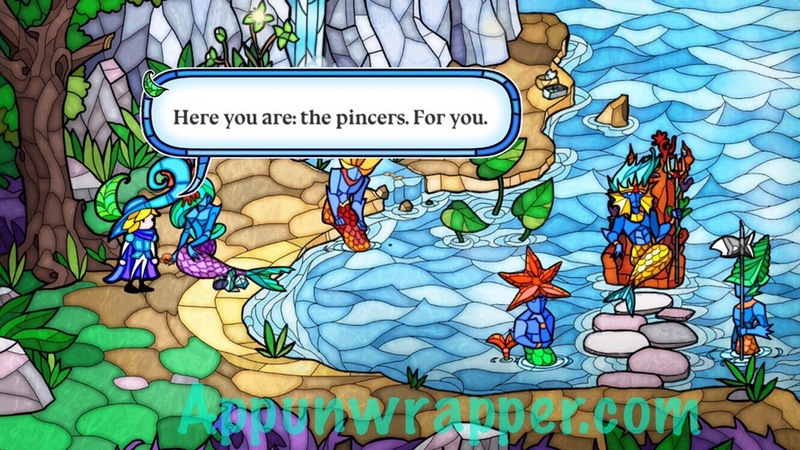 You’ll now get the Mermen’s Wish. 15. 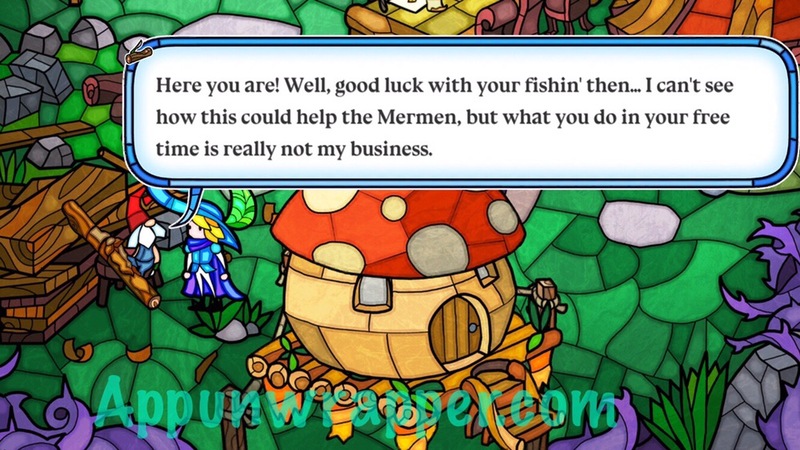 Go back to the giant glowing mushroom and use the Mermen’s Wish on it. 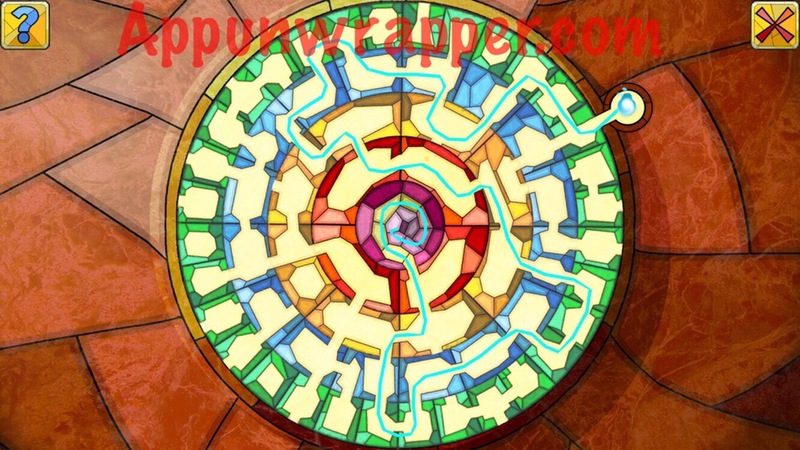 Solve the second labyrinth puzzle to gain access to another path through the forest. 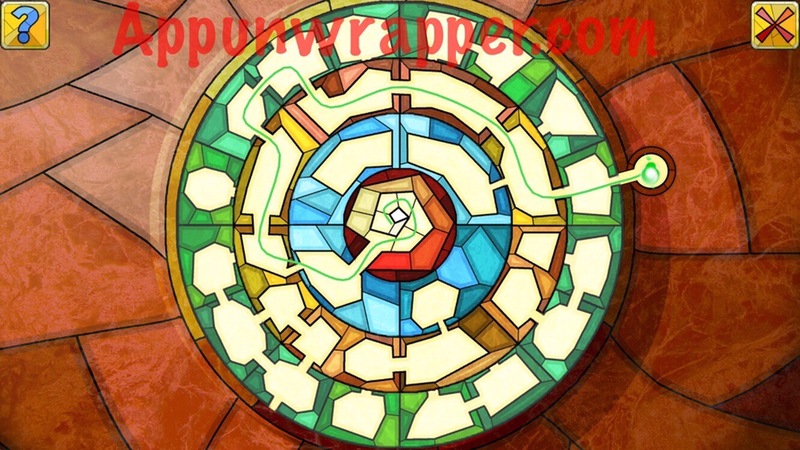 Previous PostReplica Review: Dig Deeper. No, Deeper Still. 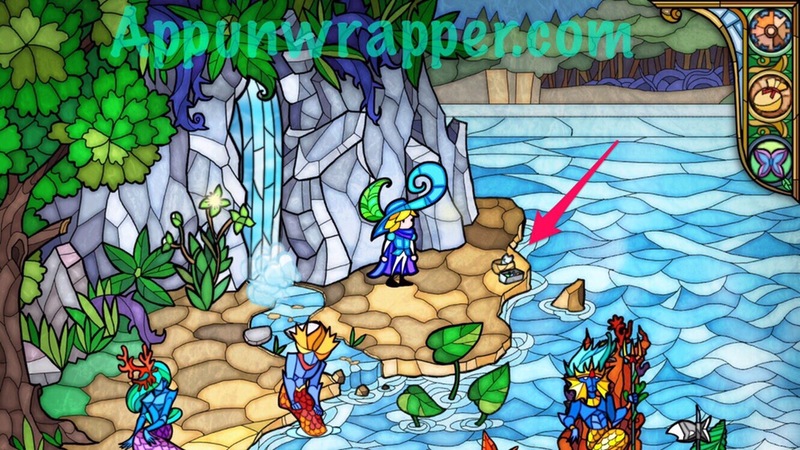 I can’t figure out where to tap and hold to catch the fish and other objects? 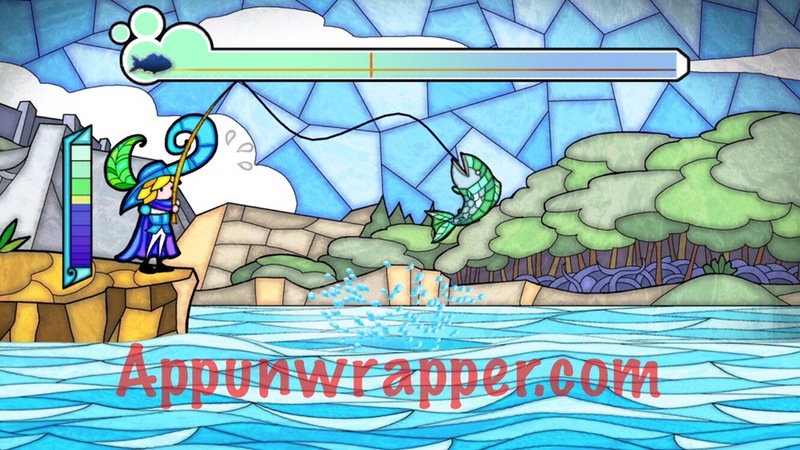 Do I tap the fish pole line? The bar above with the fish. I can’t seem to get anything to work. Fish always goes to the right. What am I missing? Thanks. It’s usually on the bar above, but oddly enough I found it worked when I tapped anywhere on the screen on my second playthrough.